Charlie Gard’s mother is helping a young family to save a toddler given “days to live” by doctors who say that he should be “allowed to die”. Alfie Evans has been in a coma for eight months and experts believe that he could have the same condition as Charlie Gard. His parents, Thomas Evans, 20, and Kate James, 19, have launched a campaign to raise £50,000 to get him treatment abroad. They have 33,000 members on their Facebook page, named Alfie’s Army, and have raised more than £17,000 via an online funding page. The family claim that medical staff at Alder Hey Children’s Hospital have given him “just days to live” and told them to withdraw life support to “allow him to die peacefully”. His parents want Alfie to see a specialist abroad “before UK courts interfere in this case”. She also praised the “brilliant” advice from Connie Yates, the mother of Charlie Gard, on fundraising and mitochondria specialists. 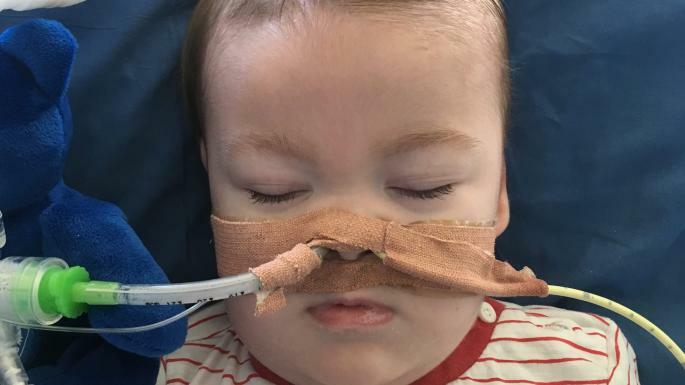 Mr Evans said: “We are fighting tooth and nail to save our baby son while he is ignored and denied opportunities.” He argued that Alfie was not in a vegetative state and that he had been seen taking breaths by himself. Alfie, who is 13 months old, was placed on life support at the hospital in December. Alder Hey Children’s NHS Foundation Trust said it could not comment on the case directly but said that some patients “are sadly unable to recover from their illness”.